Whether you are a family caregiver or a professional caregiver, burnout can be one of those looming problems. Caring for others while living your own life is a delicate balance, even exhausting if you let it get to that point. When you are burnt out, not only can your own physical and mental health suffer, but the care you give to others may not be as good as it should be. Being a caregiver means being on an emotional roller coaster but is also can be a very rewarding experience. The demands of caregiving are compounded by the demands of life in general, and many caregivers can experience sleep deprivation, have poor eating habits, don’t exercise and postpone their own medical appointments. They also are at increased risk for depression and excessive use of alcohol, tobacco and other drugs. But in order to care for others, you must first care for yourself. To avoid burnout, it is important to practice self-care. By taking some time for yourself, you’ll be able to feel more refreshed and you will then be able to care better for others. Our own attitudes and beliefs about self-care can be a personal barrier to our own health and well-being. You might feel that taking some time for your own needs is being selfish, or perhaps thinking of your own needs is frightening, or that if you do take time for self-care that you are somehow inadequate. Whatever those personal barriers are, you will first need to acknowledge them. Then remember to ask yourself, “What good will I be to my patient/loved one if I am too ill to care for them?” Also remember that you are human. You cannot possibly do everything on your own, nor can you control everything. But what you can do is care for yourself so that you may care better for others. It is important to know what the early warning signs of stress are. Some symptoms of stress may include irritability, sleep issues and forgetfulness. Learn what your symptoms are so that you can act to make changes quickly before you become overwhelmed. You should also understand what causes you stress in your life. Identify those sources then identify which of those sources you cannot change. It is important to remember that you can only change yourself, you cannot change others. Take action by changing what you have control over. Even small changes can make a big difference. Sometimes reducing personal stress can also mean getting yourself more organized. Keep a calendar and schedule out your week or work on getting your paperwork organized. Sometimes these small actions can help you gain more control over your life. Build yourself a support system. Start by remembering that it is perfectly okay to ask for help when you need it. This help can come in the form of an extra set of hands to help you with caregiving tasks or someone to take over caregiving when you need a break. Respectively, if help is offered, learn to accept that helping hand. 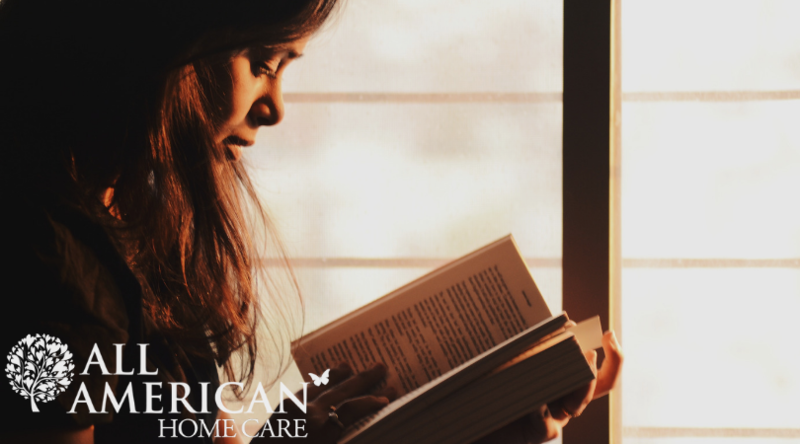 If you are a family caregiver and have also hired a caregiving company to help out, be sure to take advantage of the respite care they offer to family caregivers. It is also important to seek support form those who understand your situation. Those people may be a counselor, religious leader or fellow caregiver. They can give you a safe space to vent and to figure out difficult problems together. This process can also help you learn or reinforce constructive communication skills as well as how to be a good listener. This in turn will help you with your caregiving duties. Also helpful is that by venting to your support system, you are less likely to take any anger or frustration you may have out on your patient or loved one you are caring for. It is important to not let your physical health go by the wayside. Remember to eat healthy, exercise and schedule and go to your own medical appointments. Some great stress-reducing exercises that you might consider are walking, yoga and Tai Chi. Remember that you cannot take care of others when you yourself are ill. It is also important to have a healthy outlook. Try to find the silver lining or to have a more positive view of situations. Try to think of things as glass half-full, rather than half-empty. While changing the negative ways you view situations may take time, it is important to remember to at least try. With time, you will learn to be more positive. Take some quite moments to yourself can be extremely important for you mental health. Spend some time each week doing something you enjoy, such as reading, knitting, gardening, taking a hot bath or other quiet activities. Having some peace and quite while doing something you love can leave you feeling both happy and refreshed. When you take this me time, it is important to not feel guilty about it. Focusing on your own needs and desires is an important part of a caregiver job. You are responsible for your own self-care. Don’t forget to spend time with friends and family. Perhaps schedule a monthly outing with friends or a weekly family night. No matter what you do with friends and family, the time should be fun. A smile and some laughter can do wonders for our own well-being. Meditation allows us to take some time to re-center ourselves. During meditation, you are able to “check-in” with your body and mind and acknowledge any pain or emotions you are experiencing. Meditation doesn’t need to last an hour. In fact, you can spend 5 minutes on it! There are many smartphone apps that can help guide you through the process of meditation and learning to be present in the moment. One of the most important things you can do to practice self-care, is to schedule it! By scheduling some “me time” on your calendar, you are more likely to take the time to practice that moment of self-care. Set goals and start by making small changes. By making small changes one at a time, you are more likely to keep those changes in your life. For example, your first goal may be to exercise more often. To meet that goal, schedule an extra exercise session on your calendar. After that, your next goal might be enjoying more me time and so on. Self-care is an important part of both our physical and mental health. Because we are all individuals, each person’s self-care regimen will be different. So don’t be afraid to try out different things until you find what works best for you. By following these tips, you’ll be able to start a better self-care regimen. In turn, you will have increased health and well-being, enabling you to give better care to your loved one or patients.